The bling collection has quite an opulent feel about it. Not just because of the lustre and texture, but because the carefully chosen colours that make up the range. The collection colour palette is based on victorian style trends of rich dark colours and gentle neutrals, used in grand houses to the average home. These shades made popular decades ago work beautifully right now, whether you prefer traditional decor or more contemporary styles. 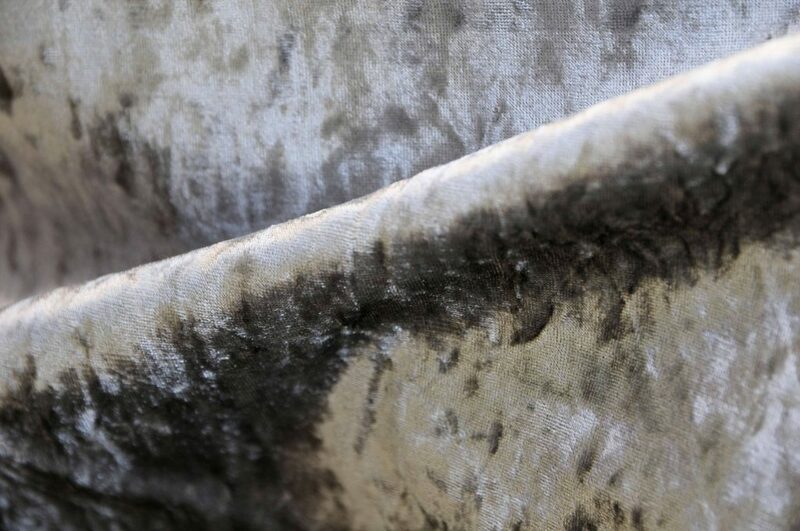 Neutral tones and tactile textiles are two key interior design trends that blend perfectly together. 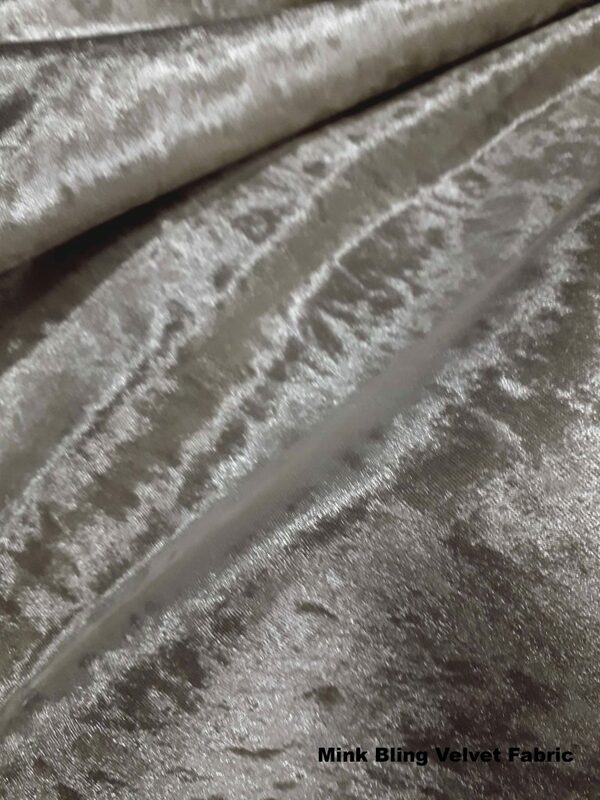 The Mink, Stone and Pearl shades of Bling velvet are great examples of the soft, muted colours used in contemporary neutral themed interior designs. Soft stone shades, cappuccino beiges and classic creams. Neutrals fall on the warmer side of the spectrum, but how warm is up to you. Biscuit shades and pale golden browns create neutral interiors with a golden glow. You can highlight with gentle cream shades, or add layers of deeper chocolate for a richer feel. Neutrals can also spill ever so slightly into the cooler colour range. 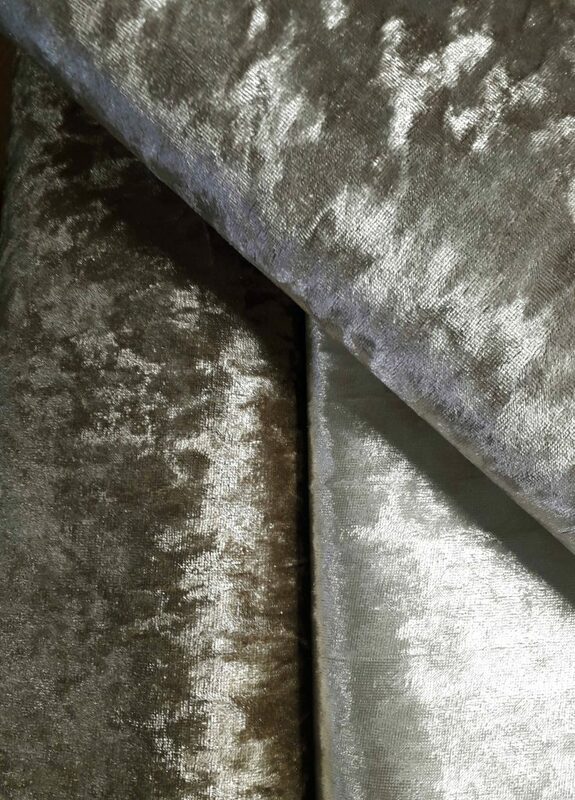 Tones of mink and taupe balance right in the middle of warm to cool shades. This is simply because these shades use more of an equal blend of grey and beige. “Greaige” is another more up to date term for these type of tones. This “greige” tone is a softened, quiet tone very popular in contemporary fashion and interior. Because it’s balanced right in the middle, you could add a soft silvery grey fabric to the palate or a warmer biscuit stade and either look would work. 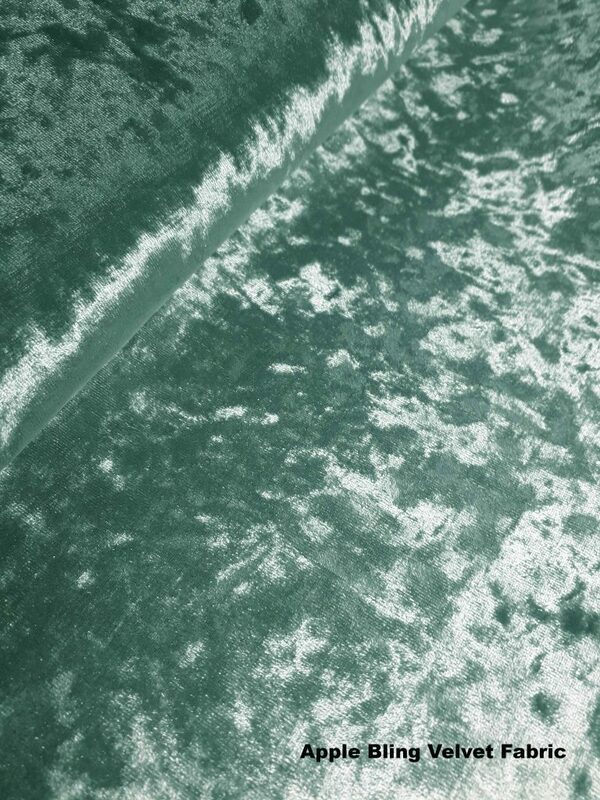 Soft green is a good keystone shade, a shade to that can bring a look together even if used sparingly. Its ability to be able to fall into warm neutral shades and cool silvers makes it very useful in interior design. The midnight shade is an extremely dark blue with just a touch of green to nudge it over to the teal /petrol tone. In some light the midnight shade almost looks black so be careful when ordering and like we always say, get a sample first. Apple is a shade in between sage and soft mint. Pale enough to give a light and airy look and subtle enough to go with beige neutrals or silver tones. 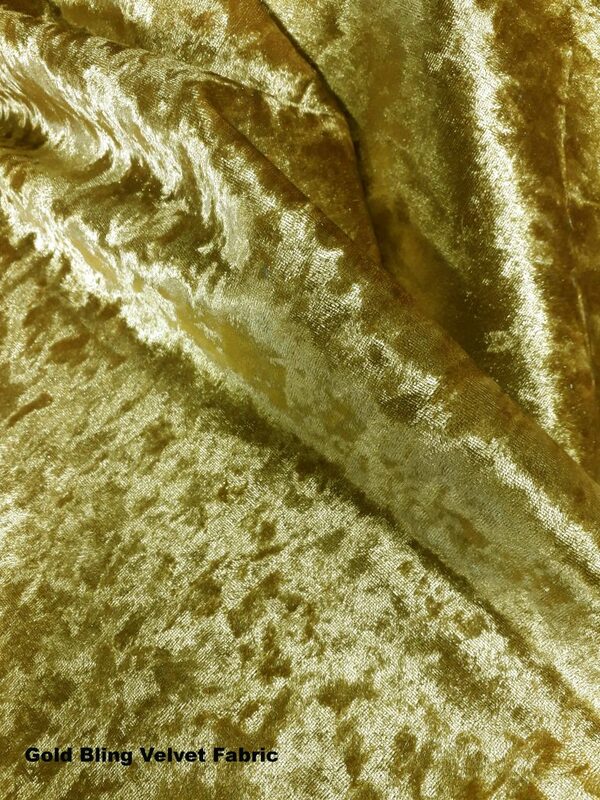 The colours you place with gold fabric will change its vibe hugely. Using pure white as the predominate shade with touches of gold will give the room a grand, grecian feel. Cooling white linen drapes with sheer cotton voile creates a fresh sunny vibe. Add gold bling velvet on cushions and curtain trim. 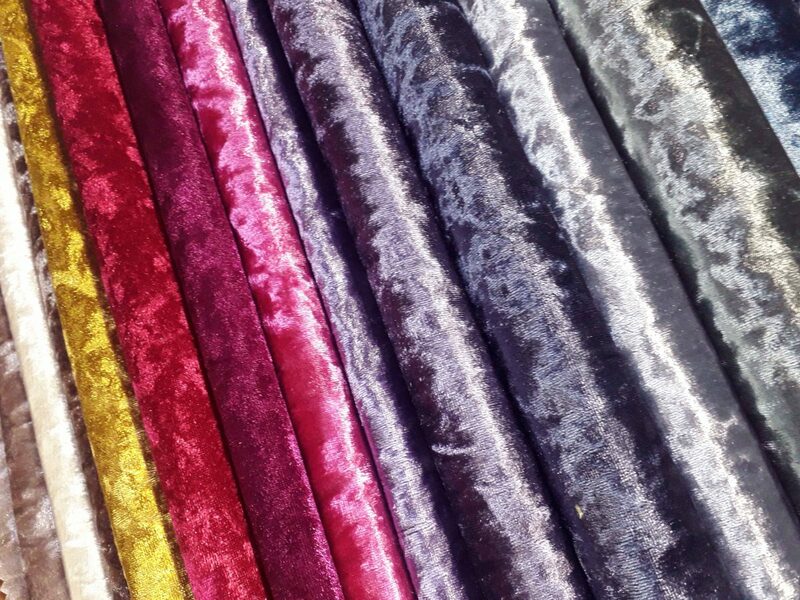 Or for a dining room, use bling velvet for dining chairs, next to clean white table cloths. A timeless look easily achieved. Teaming gold with black on the other hand means one thing. Drama! 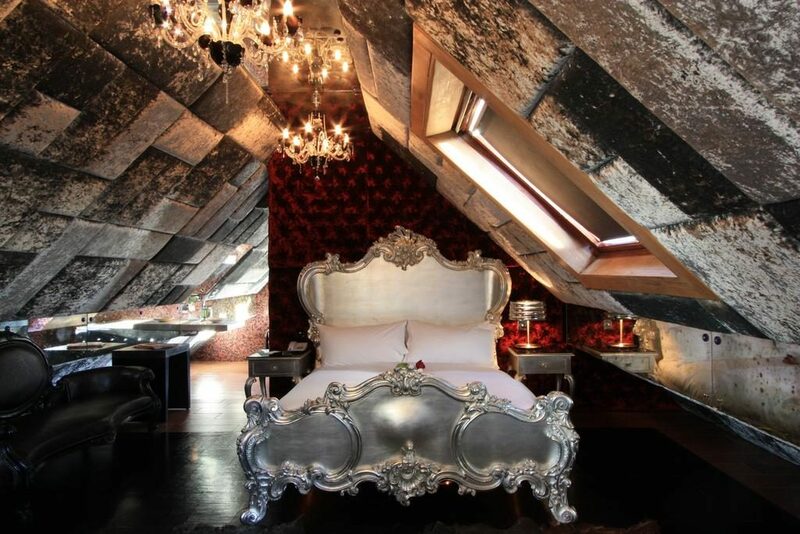 Dark exotic boudoir’s or masculine city pads. Art deco patterns and simple gold frames look stunning with jet black velvet. A statement sofa upholstered in black crushed velvet would create an irresistibly decadent focal piece. Commanding the room to work around it. Ahhh the delicious shades! These types of colours always hold an indulgent feel. When a colour is reminiscent of a sweet luxury, the link to indulgence is obvious. Blackcurrant sorbet, raspberry compote, strawberry ice cream. 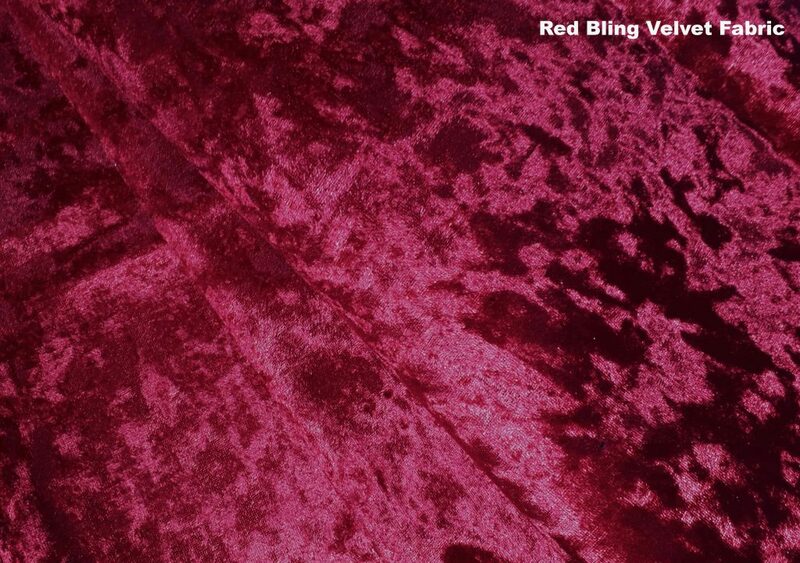 Or in other words, the shades of Fuschia, Red, and Rose Bling crushed velvet. 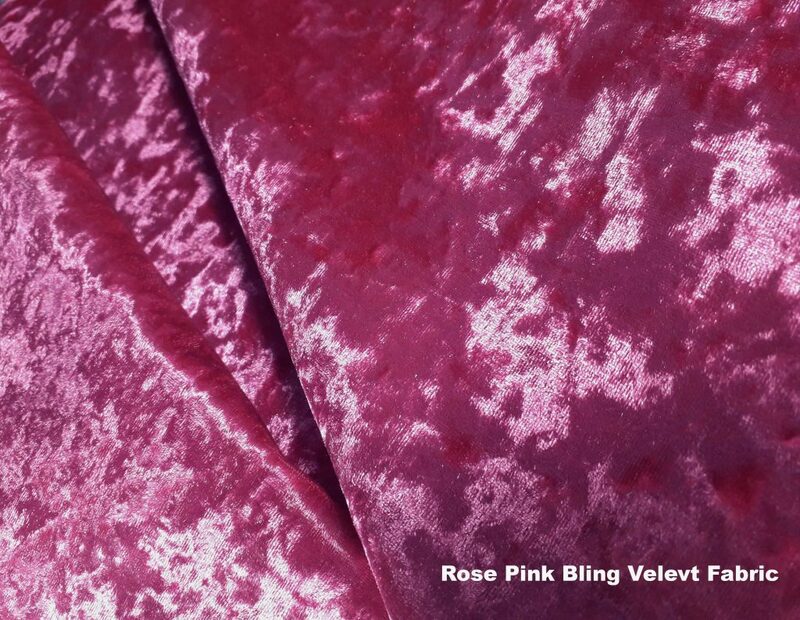 Bling crushed velvet fabric lends itself particularly well to curtain making. The structure of the fabric is dense so this helps the warm air stay in in and the cold air stay out. Add a lining of your choice to the back of the fabric to complete the curtains. Instead of standard plain lining think more about the design. The backs of curtains can usually be seen when drawn and tied back so why not include them in your design. If you need extra insulation in a cold room, go for bump lining sandwiched in between a backing lining of your choice. 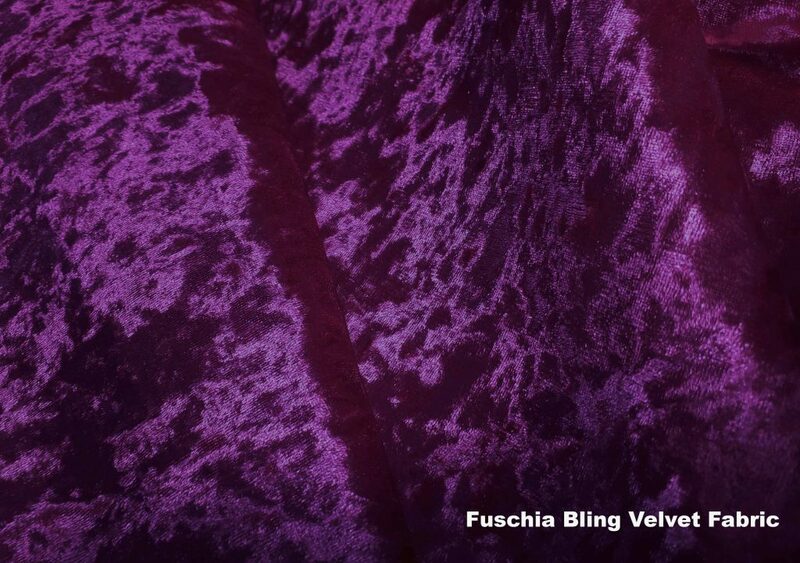 Bling fabric is thick enough to keep out most light from a room. But if you want to make sure no light at all gets in, use our black out fabric. 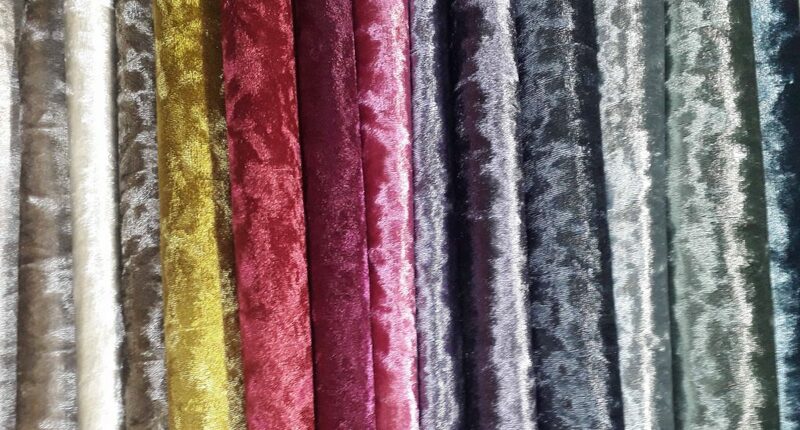 We have several ranges and colours to choose from so you can blend with your bling crushed velvet curtain colour or contrast it. 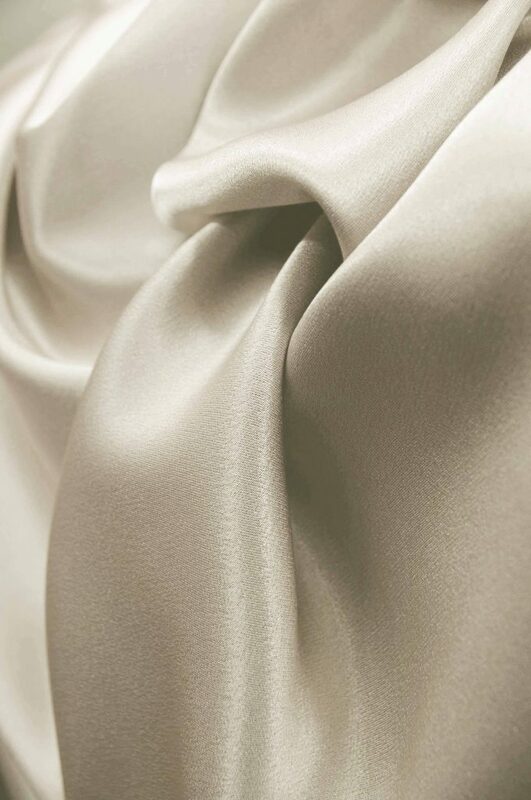 For a more contemporary look, why not create a finish that goes with the current trend of tactile texture mixing in interiors, try a smooth satin to contrast. Bling velvet makes great statement seating too. 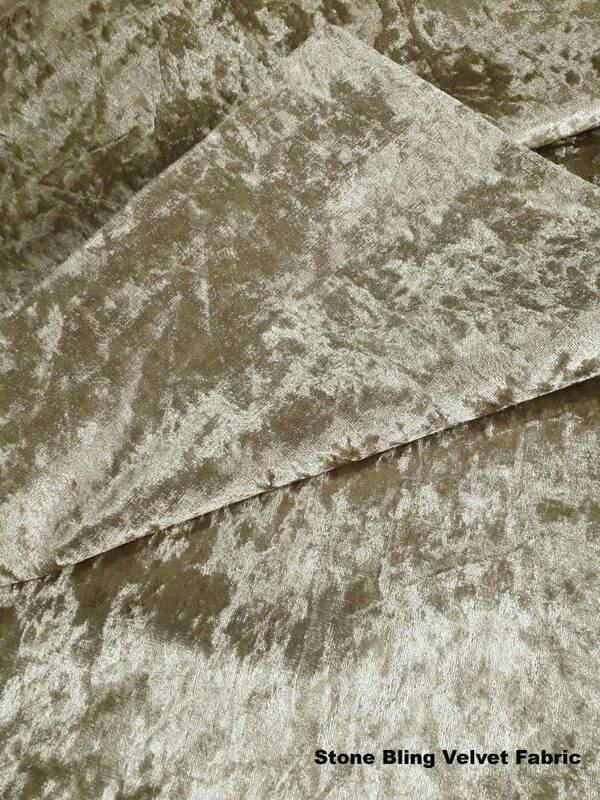 This fabulous fabric is often seen covering comfy armchairs, seating booths, barstools and stunning statement chairs. 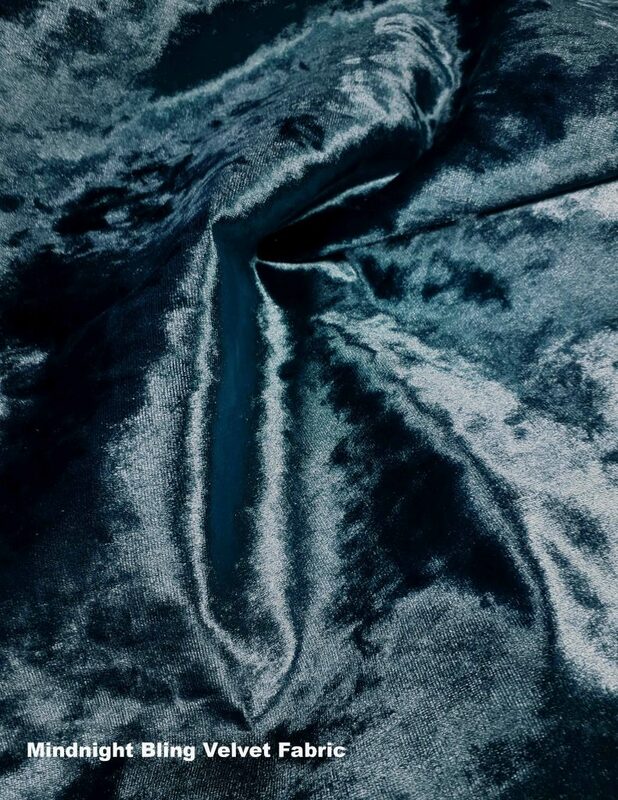 Crushed velvet bling fabric is extremely popular in spaces such as chic clubs and bars, boutique hotels, restaurants, brasseries and coffee shops. 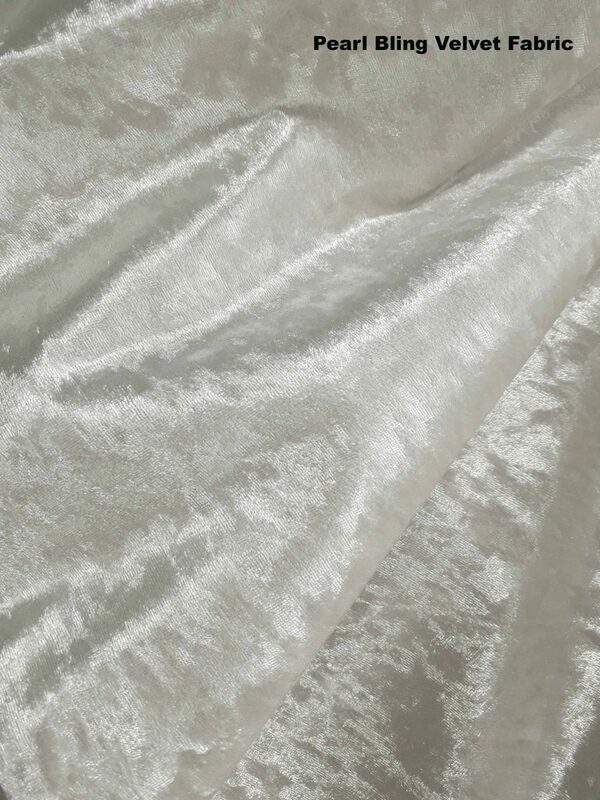 The fabric looks stunning and is pleasingly tactile to the touch. But apart from the aesthetic qualities, bling has proven time and again to be durable and hard wearing. This makes it viable choice for events and business everywhere. 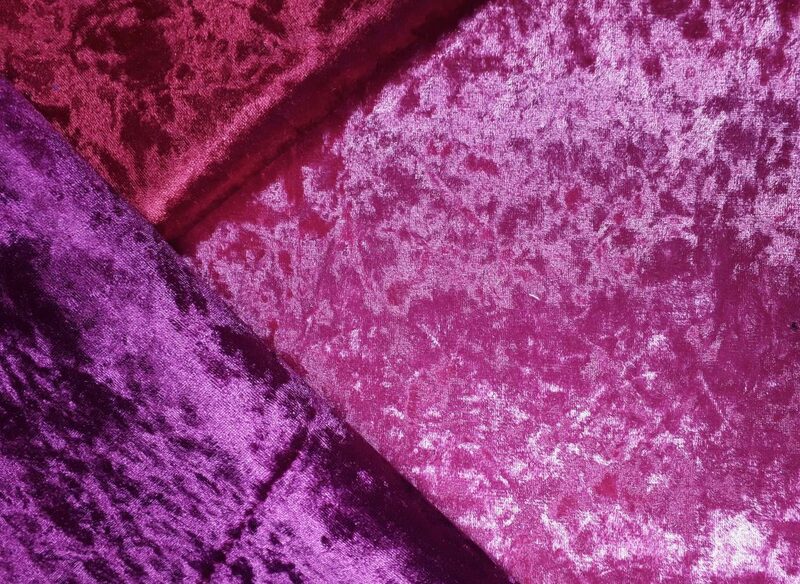 No one can ignore the the romantic connotations of crushed velvet. There are many visual and physical triggers as to why we feel this way about it. 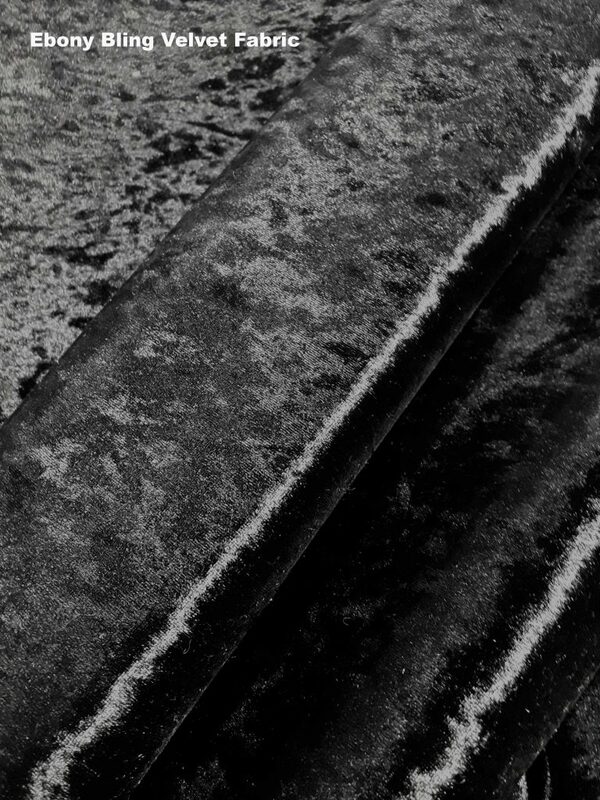 From a textural point of view, it feels good to touch. Different than classic smooth velvet, the haphazard directions of the pile evoke a curious reaction in our sensory receptors. The nature of the sensation is constantly changeable, even on the most minute level. Therefore the tactile signals are slightly confused, giving us a shiver. Fabrics like suede, faux fur and faux pony skin all evoke this reaction. Weirdly pleasant. 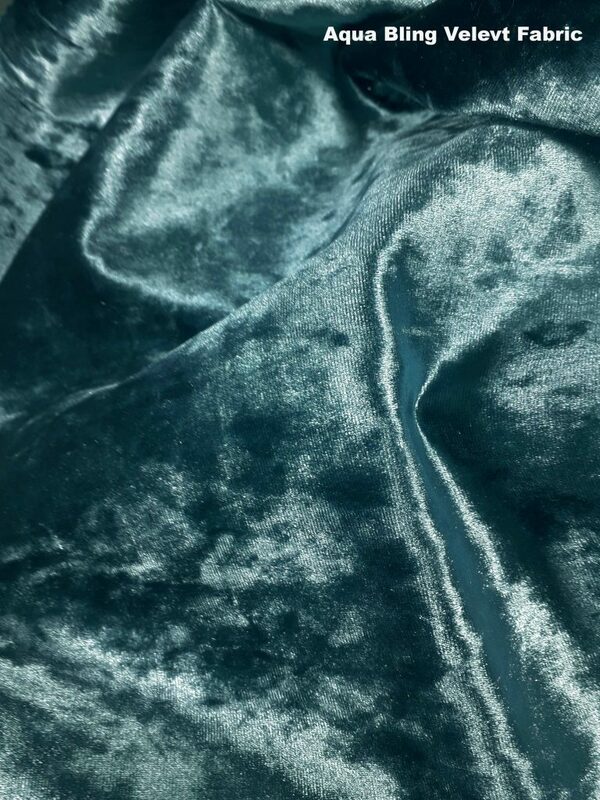 Visual references to crushed velvet all stem from luxury. 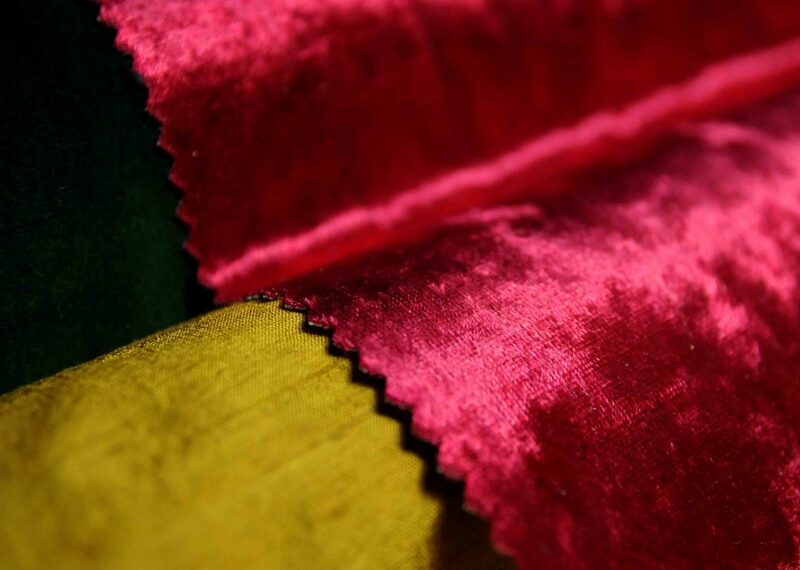 Traditionally, centuries ago, velvet was always worn and used by aristocracy and the wealthy. We have a romanticized view of that ancient bygone era. Medieval princess in flowing crushed velvet sleeves, to 18th century dandys in fitted velvet dress coats. Its all in our heads. Once kept for the locked rooms of asylums and “care” homes, padded walls are now a popular interior design feature. Seen in bedrooms, lounges, cafes and clubs of all varieties. Use one fabric or mix the textures up. 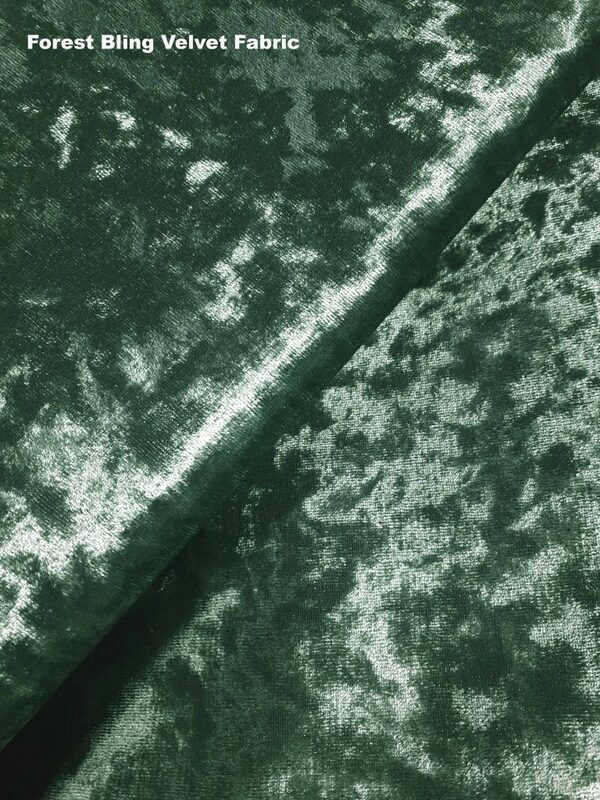 Bling crushed velvet lends itself particularly well for this contemporary style. 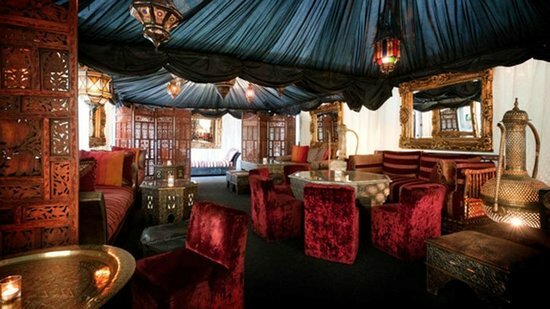 Particularly if three quite similar shades are used, as seen in this sumptuous padded roof cladding from The Crazy Bear Hotel.